The importance of work placements for shaping students’ skills and interests is back on the agenda. Whether it’s the impact it has on undergraduate destinations (as set out in the latest consultation on the Destination of Leavers of Higher Education or the European Commissions’ indicators of graduate employability) or helping young people to make good choices about destinations after leaving school (as the Sub-Committee on Education, Skills and the Economy noted), the benefits of a closer relationship between education and employment are increasingly clear. What are the benefits of hosting placement students? Host students can make a significant contribution to your organisation and work to a high standard on different types of projects, depending on the organisation and its priorities. 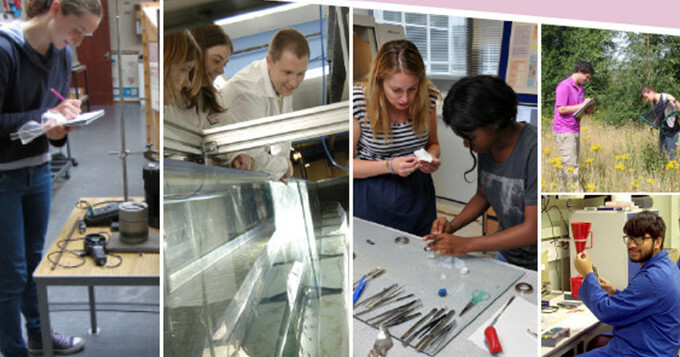 The work carried out by students on the Programmes run by the Nuffield Foundation has led for example, to publications, presentations to Select Committees and used as the basis for grant applications. In addition, supervising a placement student can help staff to develop their own teaching and mentoring skills. This is particularly useful for PhD students, postdoctoral researchers, and staff looking to gain management experience. Many host organisations we work with provide placements as part of their public engagement or corporate social responsibility work or simply as an opportunity to help shape the graduates of the future. Universities in particular are increasingly accountable for their access work, and supervising a student can help to demonstrate that your organisation is committed to increasing opportunities for young people in your local area. How you can work with the Nuffield Foundation to support student placements? The Nuffield Foundation runs two Programmes that bring students into close contact with employers to carry out research that can sharpen-up and test students’ developing scientific thinking and quantitative skills on active projects. The first of these, Nuffield Research Placements may well be familiar to people reading this and who work in scientific research environments. These are 4-6 week summer placements for school or college students who have just completed the first year (or are in S5 in Scotland) of a post-16 science, technology, engineering or maths (STEM) qualification. Participating students need strong STEM qualifications – for example, having five GCSEs/National 5’s (or equivalent) at grade B* or above, including mathematics, English and a science. Students are reimbursed for travel costs, and some students will be eligible for an additional bursary to cover other costs. Nuffield Research Placement students often move on from the experience to a STEM degree programme. However, students who enjoy science and maths aren’t always aware of the options available to them outside the traditional STEM subjects. Q-Step social science degrees are a new option for students who want to develop their scientific inquiry and quantitative skills and use them to answer the big questions about society. The Q-Step degrees are offered in social science subjects ranging from area studies to political science to sociology in ‘Q-Step Centres’ at 18 of the UK’s top universities. All of them place a strong emphasis on developing quantitative skills and enabling students to analyse complex data – skills that are invaluable in today’s job market, and work experience is a highly prized element of the degrees. We have recently published a Q-Step prospectus that features feedback from students about their experience of Q-Step, and insights from employers who talk about the benefits to them of working with quantitatively trained social science students. The Foundation increasingly sees Q-Step as a way of contributing to addressing STEM skill shortages, as set out in its recent response to the Government’s Industrial Strategy. There are also exciting new research areas – for example, biosocial research – where the links between biological scientists and social scientists are blazing a trail for future interdisciplinary research. Our students tell us that the opportunity to participate in a placement really helped them to feel they’d made a good choice about what to study at university. They also say that it gave them a chance to test out their skills and interests, meet amazing people doing ‘live’ research projects and, in some cases, helped them review what subjects to aim for. Here are some examples of Nuffield Research Placement students talking about their experiences. Students often enter the work from their placement for a CREST award and the placement can contribute to a full-rounded UCAS personal statement. In 2016, a Nuffield Research Placements’ student became the UK Young Scientist of the Year. So, my request to researchers and employers reading this blog is to think positively and creatively about whether you could host one or more (preferably more…) of our amazing post-16 students or undergraduates. If you are interested or want to know more about these Programmes, please contact me! Dr Simon Gallacher, Head of Student Programmes (sgallacher@nuffieldfoundation.org).